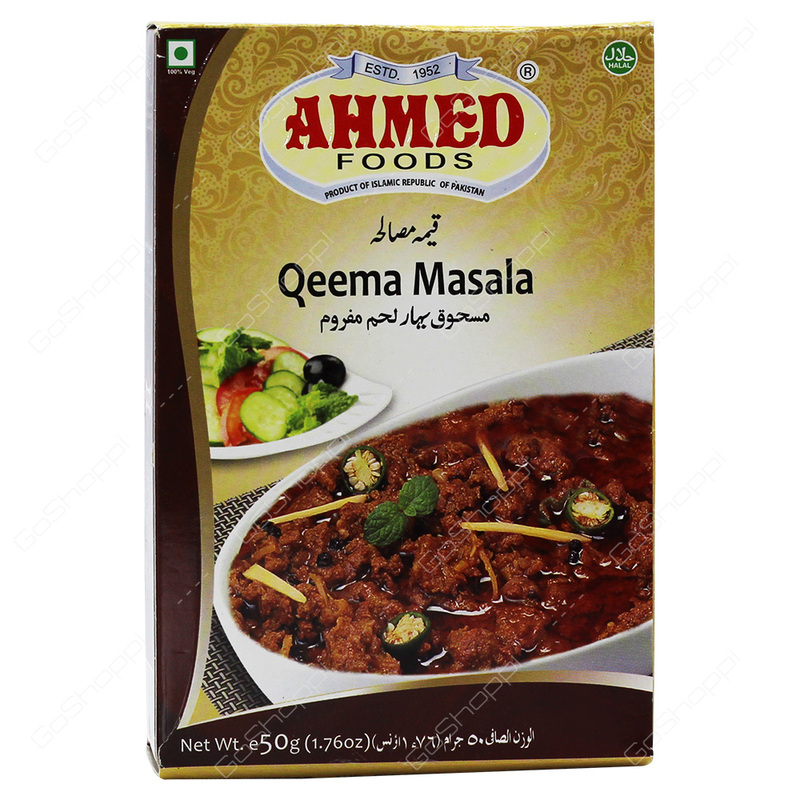 Ahmed Foods Qeema Masala is a spicy mix for minced meat curry. It can be used to make delicious lamb or beef pickled curry. It is also an excellent seasoning for making mouth watering pickled cottage cheese, potatoes and brinjal. Though all precautions and care have been taken to provide product information correct to the core, Goshoppi or It's merchant store does guarantee the content exhibited, in terms of ingredients and images etc., is correct always. Products continuously keep changing or revised to improve. So ingredients, contents, images, dietary and allergens may change from time to time. Goshoppi or It's merchant store advise the customers to go through the product information and not to depend entirely on the information furnished by Goshoppi or It's merchant stores on the website.